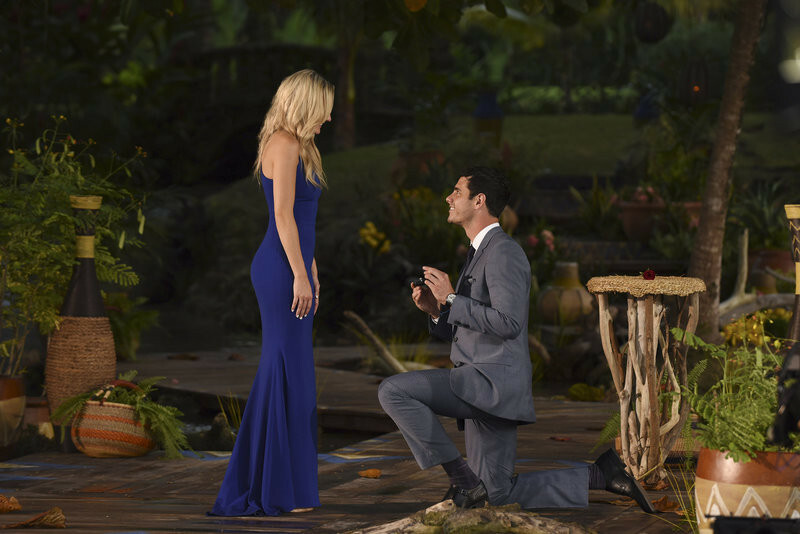 Ben Higgins made his final choice, and Lauren B. is The Bachelor winner 2016. The Bachelor finale 2016 was an intense one, as Ben had told both Lauren B. and JoJo “I love you.” But Ben could only pick one to spend the rest of his life with, and, ultimately, Ben decided that woman is Lauren B! Since stunning him as the first one out of the limo on Arrivals Night, Lauren B. has been it for Ben. Giving him a wing pin as a gift the moment she met him, their love has been soaring to new highs ever since. Their first one-on-one date made it clear his relationship with Lauren was something truly special. It was evident they had a strong connection when Ben whisked Lauren B. away in the middle of their group date in Mexico City. As the two made out passionately in the streets, their chemistry was undeniable. However, their relationship hasn’t all been highs. Ben had his doubts after contestant Leah warned him about Lauren B., telling him that she acted one way around him and another around the other contestants. But in the end, it just made their bond even stronger. Lauren B. overcame her fear by opening up and telling the Bachelor she loves him — and he reciprocated the feeling telling her he loves her too. Now that Ben proposed to Lauren B., Season 20 of The Bachelorhas now come to an end. Do you have a favorite Lauren B. and Ben moment? Sound off in the comments section below! And click here to find out who the next Bachelorette is. An all-new season of The Bachelorette premieres MONDAY, MAY 23 on ABC.